It will cost almost 100 billion rubles and the economic benefits are unclear. The «Lider» (project 10510) is far more powerful than any other icebreaker and will be able to open wide shipping lanes through the thickest Arctic ice. In early September this year, Russian Minister of Industry and Trade Denis Manturov announced that the vessel is likely to be built at the new major shipyard Zvezda, currently under development outside Vladivostok. And there will be built not only one of the vessels, but probably up to three, TASS reported with reference to Manturov. Not everybody is happy about the project. The United Shipbuilding Corporation, the state company that includes Russia’s leading yards and ship design agencies, questions the new yard’s capacity to handle the project. 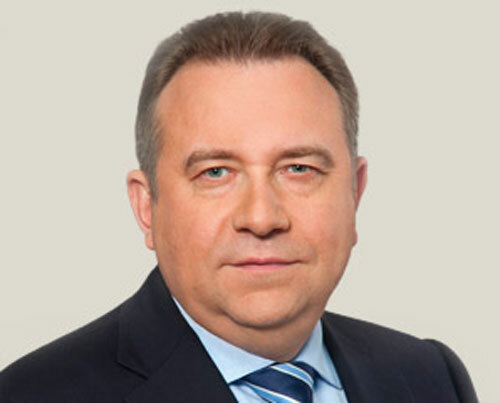 In an interview with newspaper RBC, leader of the corporation Aleksey Rakhimov makes clear that the decision to build the ships at the Zvezda is based on politics and not economic considerations. According to Rakhimov, it will be far more expensive to build the ships at the Zvezda compared with the yards in St.Petersburg. «First of all, this will be the first icebreaker that is built by the Zvezda, and we are talking about the biggest icebreaker in the world,» the company leader says, and adds that there are special requirements to knowledge, construction facilities and technology. Furthermore, he argues, the new yard will have to recruit highly qualified personnel from the other Russian yards. The price for the first «Lider» will be close to 100 billion rubles (€1.34 billion), he confirms to RBC. The United Shipbuilding Corporation (USC) includes more than 40 yards and ship design units all over the country, including the powerful Baltic Yard and Vyborg Yard in St.Petersburg. Rakhimov and the USC has argued that the «Lider» must be built Baltic Yard and Vyborg Yard, but now appears to have lost that fight to the Zvezda, a company which is not part of the corporation. The development of the Zvezda is run by oil company Rosneft and its powerful leader Igor Sechin. It has got solid backing from the Kremlin and it was President Putin himself who in 2013 gave the orders for the construction of the shipbuilding center. According to the developers, the Zvezda will be Russia’s largest and most modern civilian shipyard. The full complex is due to stand ready by 2024. It is built in Bolshoy Kamen, the industrial town located near Vladivostok on Russia’s far eastern coast. The development of the «Lider» has been supported also by Rosatom, the nuclear power company that now is significantly strengthening its power over affairs connected with the development of the Northern Sea Route. The projected vessel has 120 MW capacity and can break through two meter thick ice at 10-12 knot speed. «That is a commercially competitive speed», Rosatom leader Aleksey Likhachev told President Vladimir Putin earlier this year. Like the other nuclear-powered icebreakers, the «Lider» will be will be based in the Atomflot unit in Murmansk.